When in comes to pattern drafting, think DRIVING. It sounds very scary for those who doesn't drive, tension, panicking, fear comes to mind. "You will never get it right! "- the voice keeps ringing in your ear, "Told you so", every time you hit a small bump on the road, and so on and so on. You keep learning, sometimes the hard way, you are getting through, until you realise that the voice is gone, you catch your mind wandering somewhere else and the whole thing feels like a second nature to you. Drafting your patterns can seem very intimidating, but it is a really amazing skill and it can take you to a completely new level of possibilities. The good old paper and pencil method certainly is great, but with the introduction of various 2D CAD designing software makes it much more efficient. 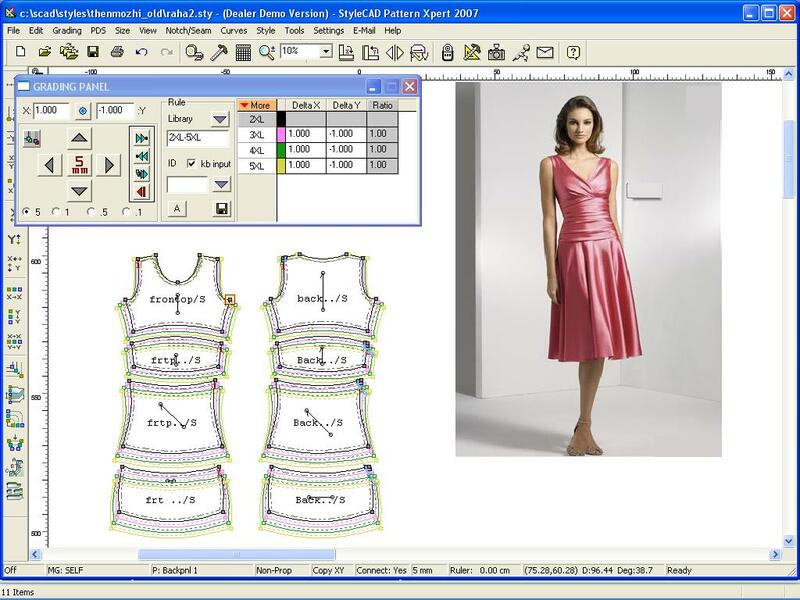 Fashion Cad : They discibe them selves as an integrated suite of accurate pattern making software for perfect fitting garments - including pattern design, grading, detailing, marker layout and CAD drafting. A practical and affordable pattern making software system ideal for home based or commercial businesses. e-Telestia. Advanced tools to create and modify designs. This unique system combines a set of easy to learn CAD tools and functions, with sound pattern cutting knowledge. You will be able to create your own blocks and styles, build-up your own style library, modify and adjust existing blocks and create fully professional collections. Gemini Pattern Editor A very comprehensive piece of software- includes quick and accurate pattern design, using basic design tools and advanced geometrical procedures. Advanced model design and make-up with simulation for darts, folds, -Automatic and manual pattern grading. Pattern checking and verifying, measurement table, real time watcher. Pattern digitising, support for fast access digitising functions, vocal confirmation. Gerber Accumark With AccuMark, you can quickly create new patterns or modify existing ones, use powerful shortcuts to automatically apply common pattern changes. You can also perform even the most complicated grading calculations instantly, according to the rules you specify. Sound amazing? Well, be prepared to fork out around a thousand bucks for most of those programs. You have the money? Fantastic! If you are thinking to start your own business in pattern making - get one of them! But for the majority of dressmakers this is not the option, so what is out there for those who cannot spend so much? Pros: you have a vast majority of pre-installed styles to choose from, often come with comprehensive sewing guides, and you can design your own styles using multiple custom measurements charts. You can edit the pattern within a program to create your own unique designs. Cons: You cannot save your unique designs to open them with a different measurement chart. There is no grading option (this is the one you have to pay your big reddies for in professional software). The file format can be program specific- that means you cannot outsource the patterns for grading services. Also some fitting issues are reported to be quite problematic. PatternMaker - Their Professional Studio is a full-featured CAD program, specifically designed for pattern drafting. You can extensively modify a pattern made from the collections, or you can draft your own pattern entirely from scratch, it also support .dfx files- which is a very common file type in the professional pattern making world. Great interface. $399 or $600 for a Grading Studio. The bottom line: if you want to make your own patterns using CAD software, you need to ask yourself this:? Do you want to learn the basics of pattern drafting from scratch, or you are happy enough using the preset options? Are you going to do with the patterns you create? If home use is all you need- there is no need to spend too much on it. Wild Ginger is selling a book on Digital Pattern Drafting with a 2D CAD program included for just $99! If you are looking to create patterns to share or sell, you need to first of all research each software output format options. It is not the issue with more expensive ones, but beware that some of them are saving patterns in a specific file format, that will not convert to other types. It can be a real issue if you need to outsource grading, for example. Download trial versions, when possible, and find the interface that works for you best. It is worth spending a day or two on a demo, to have a clear idea on whether is will suit your needs best. Go to relevant forums, discussions and read carefully all posts- especially the ones complaining about any issues- negative comments can often give an insight into potential problems you can encounter in your future. If paperless pattern making is for what you want to do, thinking these few points through can not only save your money make it an amazing fulfilling experience, but can simply make it an amazing fulfilling experience. This is great info, thanks for sharing. Is one of these the wild ginger one? I've heard a lot about it being open ended etc but have never tried it. Which of these are available for osx? Really mac-compatible, though, not the crap some software people try to say like "oh but you can run our windows program in bootcamp", urgh. Are there any? Unfortunately, only FashionCAD has Mac support as far as I know . This is my dilemma as well as I am doing everything on my MacBook Pro. Pattern Master is Wild Ginger software. I have their PatternMaster Boutique- it is not bad, I want to draft and produce unique patterns, but it is very limited for that. It is good for home use although you will need to make a sloper for every measurement chart and it might need to be adjusted- They have a great support team and get back to you very fast, but the fitting can be an issue. Solvable, but hassle. This is from my own experience. There is a lot of styles to choose from, they are a bit outdated in terms of fashion- but then the designers are not super trendy lot either. Would work in the 80s )))) But there are many options for adjusting your pattern and you can re-draft it using Patern Editor. But re-drafted styles are not possible to save to use in a different measurement (((( This is from my own experience. Guys I just found this but its an old link.. something callled Cochenelle for Mac http://wwwearables.com/talk/2009/03/24/my-favorite-pattern-drafting-software/ been around for 20 years apparently.. Thanks for sharing this! Although I'm searching for something in Spanish, I think the next step in my pattern making progress is to make my patterns by computer, but I don't know what kind of knowledge is necessary. Do you think is good to invest some money in pattern making by computer courses? Or this kind of programs are intuitive and don't need any extra programs to know before working with them? Thank you! they are all CAD based. All need basic tools course at least. If you are looking for something to start with try PatternMaster, PatternMaker or Cochenelle. If you are going to buy the professional software, it will be very complex. You can get demo's to try things out too. After reading your reviews of the CAD software, I think I will stick with good old paper, ruler and pencil. Almost free and I don't have to learn another program. Love the blog. Windows XP or Windows 7"
First of all thank you for the compliment! I somewhat agree with you, but being very addicted to al things progress (it is 21 century, after all), I wanted to personally take it to the new level. And the main thing is that I want to start my own pattern making brand some day, so I will have to use some kind of program. After a couple of weeks of an intensive research, I thought sharing my findings might be useful to my readers too. Have you decided on a program that is what you are looking for? I've also been researching because I want to make some children's patterns to sell. It seems no matter what it will take a lot of work even with a program like Garment Designer from Cochenille. You still have to take your patterns into another program to edit and make a pdf. Hi Juliette, may I suggest you to use Inkscape ? Don't know if you already found it: It is an open source vector drawing application that runs on Win/Mac/Linux, and is very flexible. Some people uses it to trace sewing patterns; then you can save them as SVG file (a standard format recognized also by web browsers) or to PDF. Also, it can handle very complex scripting features: I was able to realize a fully automatic pattern generator for simple skirts, based on real measurements! Hi Gregoria, this is the first time im hearing about inkscape scripting option to create a customized pattern. Im very interested to know how to go about creating. Please can you share? Thanks. The problem with Inkscape is it is not customized for garments. So there is no grading software or markers. I have similarly used corel draw to create a basic pant pattern, but it is very similar to doing it by hand as you have to outsource grading. Hi Juliette, can you suggest me a software for automatic making cloth pattern from real measurments. I am looking for some basic patterns that would change as I change costumers measurements. Thanks in advanced. Your blog is really amazing! hi im lawrence i can like you to help me with a patternmaker software thanks. I just ran across your post! Thank you so much for posting this. I am currently looking into a software program instead of making patterns the old fashioned way. Your thoughts are a huge help. I appreciate you taking the time to share them. I thought it was a bit ironic that you used a screencap of StyleCAD but didn't mention it in your post. Fwiw, I do think StyleCAD is the best of the commercial programs. In addition to stylecad (which I use in my business) I've used 2 others (optitex, gerber) and am familiar with Lectra and Pad. These are the most reputable commercial CAD companies. Commercial programs cost about $8K to $13K. Peripherals (72" plotter, 4x6 foot digitizer) can run another $10K-$15K. CAD programs targeted to homesewers cost $2K or less. Those can be an excellent option for enthusiasts if you have the money. I don't recommend these for businesses though unless you WON'T need to outsource services (grading & marking). If you want to use these anyway, you can do that as long as you know that you'll need to have the patterns redigitized because none of the major CAD brands work with hobby cad file formats. Generally, you can tell the difference between a legitimate industry CAD program from a hobbyist one by their marketing. If the marketing features increased efficiency, higher yields, output in the form of cut files (CAM) etc, then it is industrial. If the marketing specifically mentions use by independent designers and small companies, it is a homesewing program. Hi Thanks everyone! DesignSew.com is now launching version 6i, Sign up for a designer account and design, edit, print, manage & size your patterns & designs in the digitizer software. I have read your interesting blog related to software for retail. These are very interesting facts covered on this blog. i like this job and i am doing patterns master course in pakistan. You guys is a joke. Most of the links form your Website are dead. I couldn't use the contact us link, and you expect us to pay for the software. Your main Website is not working, most links are dead. I couldn't use the contact us link. Do you really expect us to pay for your software? Please check out a new Web 2.0-based free pattern-making software, currently at its initial development, here, http://kosherpatterns.com/tutorials2/41-my-sloper-pattern-making-software-web-2-0-by-kosherpatterns.html. Thank you. I purchased FasionCad. So far I have run into a few bumps like getting it downloaded and licensed, had to change IE browser. I am a true novice with CAD but very knowledable in pattern design and grading with paper pencil. I am a little frustrated with the program. Anyone have tips? Anybody try Cochinelle? I've read that it's good. Very informative and well written post! I prefer to read this kind of stuff. Web design Israel is best web design company. we provide web design services and ecommerce web design services. We are professional web design company. Our existance in one the best website design companies. We use Threads embroidery software (http://www.threadses.com/) Its fully digitized, great for editing. No complaints at all. I am looking for a CAD program do design ballroom dresses for myself. Using aPC. What would you recommend? I have no blotter just a standard printer. Thank you! You should be able to draft any design you want with any of these software options, but you DO need to know pattern drafting to begin with. If you're looking for software that you can input your measurements and pop out a design that's already been drafted, like PatternMaster from Wild Ginger, you're not likely to find what you're looking for. You contact me via Mail,i have every thing and latest versions + Best price with perfectely solution how to let the program works + tutorials . This is a great fully fledged software for creating patterns. I use a similar powerful software called creately for mockups and wireframes for making simiar designs. I'm looking forward to seeing your sewing patterns and learning from your experience. Great post. thank you for sharing this. I love patterns for sewing! This is a great for sewing patterns! Thank you! Find-out Gerber Technology's AccuMark 8.5 / 8.5.1 / 9.0 on Windows 8/8.1 for pattern making, pattern processing ( 32-64 bits ) full lifetime license. Gerber AccuMark v9.0 Full Pack ( Turkish install include too ) with MTM and Accunest all are running with Windows xp,vista,7 and 8/8.1 ( 32/64 Bite ) and License is for life with Virtual USB Dongle Multikey. StyleCAD V9 Full Pack with Autonest. Richpeace v9 Full Pack with autonest ,working for all O.S (32/64 Bite ). Lectra Kaledo Style v3r3 sp1 Full ,License expire date 2033 year working for all O.S (32/64 Bite ),Multikey,Multilangual. TukaCAD 2010 Full with Smart Mark,Automatic Marker ,working with all O.S ( 32/64 Bite ). Wilcom ES E2.0 OT SP3 ( Update 2013 ) with a working Worksflow is running with all O.S (32/64 Bite). Tajima x4 ( v14 ) working for all O.S (32/64 Bite ). Creating Experts providing real time training in SAP ABAP with real time scenarios..
|t was good to read & I am getting some useful info's through your blog keep sharing... Informatica is an ETL tools helps to transform your old business leads into new vision. Learn Informatica training in chennai from corporate professionals with very good experience in informatica tool. Hari Om Pattern and Engineering for Pattern Maker in India, Pattern Work in India, Pattern Work in Ahmedabad, Pattern and Engineering in India, Pattern and Engineering in Ahmedabad, Wooden pattern Maker in India, Wooden pattern Maker in Ahmedabad, Pattern Maker in Ahmedabad. Thank you for this detailed article on Web design course in Chennai. I’m aspiring to do Web design course in Chennai. Thanks for sharing this niche useful informative post to our knowledge.. Thanks for sharing wonderful blog..
Oracle Course in Delhi- RKM IT Institute is one of the leading training institutes in Delhi. Our principal aim is to provide a greatest and quality practicing for all amounts of trainees starting with fresher's towards the business trainees. Those who want to discover this course in a short time of span, get to us. To get additional details about our various practical and vocabulary education check out our website. Nice of you for sharing this software for pattern making! HI, I would like to print dress patterns in Ahmadabad. Can you point me out to who could make that service? Hi I need to print dress patterns and some kind of kurta in Ahmadabad from Gerber files. Would you know how much it costs and where to do it? I like the concept of drafting with software... Nice information how can one get a software??? ? Discover the best services of crm software for it's uses I have follow your blog you can seen ours at :- There is auto dealer crm so many new things and important aspect related to CRM that makes it perfect enough for use. The better options and other flexible system with the tool is something to look out for web based crm software. Excellent post. Thanks for sharing your ideas to our vision.. Discovered as the best part of crm software for uses the factor of scientific reason you can contact with us on :- with CRM tool you can implement all such with ease. The online CRM software which is currently running in the market has wide range of features and benefits on offer that makes Best CRM Software preferable enough for all. Thanks for sharing this informative post to our vision..
Nice tutorial. thanks to sharing its really helps to people. How do you change your premium domain name on Wordpress? To ensure better productivity and creativity for clothing industry. 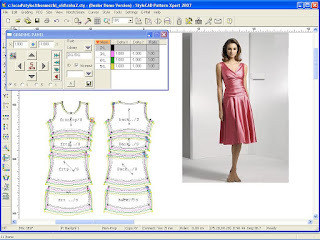 All kind of Garment CAD softwares ( making patterns,grading,and stitching on 3D fit and latest versions ) ,Multilanguel for instalation, no dongle protection is needed, running with Emulator and License never expire and not have limite time and support and help are providing for free for all customers and instalation is warranty via distance remoute access by teamviewer .